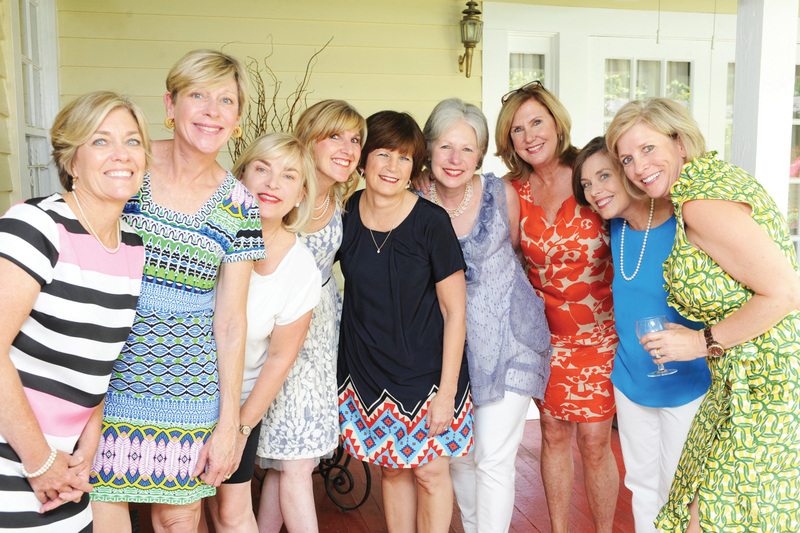 There’s no better way to celebrate life’s milestones than surrounded by lifelong friends. For one group of Mobile ladies, each family’s celebrations were welcomed together as a group and always with good food and cheer. This particular bunco group has been meeting the third Wednesday of every month for more than 30 years. They celebrate birthdays, newborn babies, the first days of school and graduations, just to name a few. But their favorite celebration is an impending marriage. There is no better way to fete the soon-to-be bride than with a sweet, Southern bridesmaid luncheon. The ladies say they are on their 10th luncheon this year alone, with no plans to stop the celebrating anytime soon. Each party always begins with a mimosa bar, followed by a light lunch. Dessert is always a cake with pull charms from Knot Just Beads, owned by group member Eileen Schwarz. The ladies shared a few of their classic luncheon recipes with us! Nothing beats a good, homemade Southern cheese straw! This recipe is easy to make and they come out perfectly crisp every time! 1. Allow cheese and butter to come to room temperature. 2. Preheat oven to 350 degrees. Grate the cheddar cheese. Cream it together with the butter. Add red pepper, salt and sifted flour. 3. Put dough into a cookie press and press using the small star tip onto an ungreased cookie sheet. Bake for 15 – 16 minutes. Allow to cool completely before serving. Store in an airtight container. The ladies serve this unique twist on traditional chicken salad over a bed of lettuce for the perfect ladylike luncheon entree with a fruit salad on the side. 1. Combine all ingredients except lettuce until well mixed. Refrigerate several hours or overnight. 2. Serve over a bed of lettuce. This impressive six-layer cake is sweet and summery, the perfect addition to any ladylike luncheon. 1. Preheat oven to 350 degrees. Grease and flour six 8-inch cake pans and set aside. 2. In the bowl of an electric mixer, sift together flour, baking powder, salt and 1 cup of sugar. Make a well in the center of the mixture. Add oil, lemon juice, egg yolks and 1/4 cup of water. Beat at medium-high speed until smooth. 3. In a clean bowl of an electric mixer, beat egg whites and cream of tartar on medium speed until soft peaks form. Gradually add 1/4 cup of sugar, beating until stiff peaks form. 4. Stir 1/4 of the egg white mixture into the flour mixture until combined, and then gently fold in the rest of the egg white mixture, being careful not to deflate whites. 5. Spoon batter into prepared cake pans and bake for 12 – 15 minutes. Cool in the pans for 10 minutes, then remove from pans and cool completely on wire cooling racks. 7. 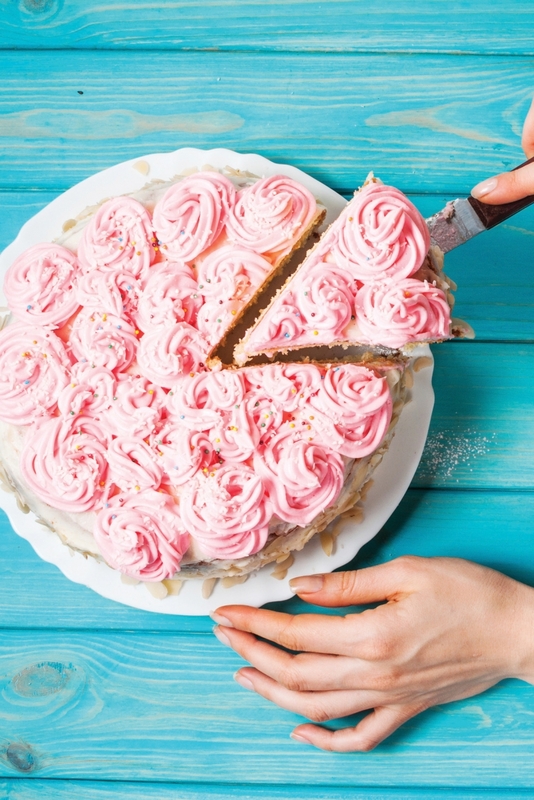 Spread strawberry frosting on top and sides of cake. Chill before serving.